Made for our clients Excellence For All, the NLP Models app is another universal app built for both the iPhone and iPad. Colourful images that will help you to remember the models more easily, and also aid in the explanation of them to others. 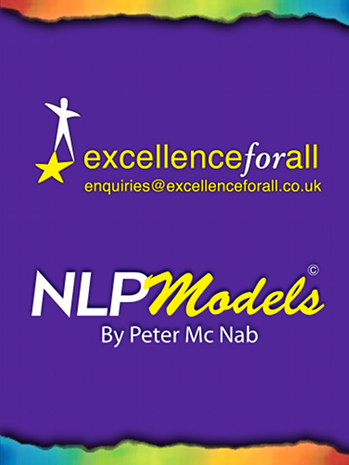 Video and audio explanations of the NLP concepts. 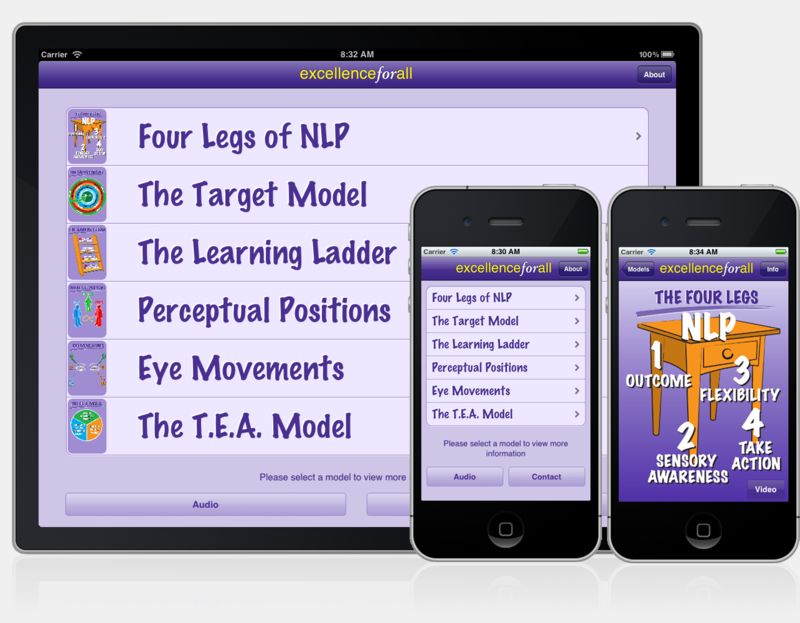 Audios taking you through techniques such as Perceptual Positions, The Swish, and The Stones Exercise and, as a bonus, you will also find introductions to related material such as The Graves Model, The Enneagram, and Ken Wilber’s Integral Model.